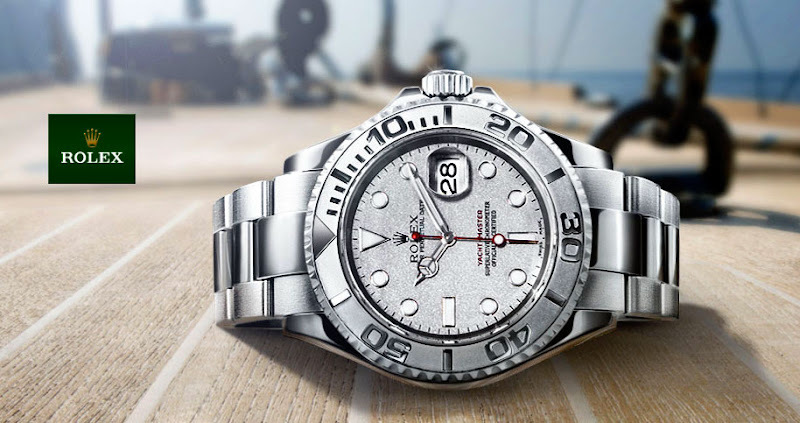 Rolex just introduced an all-new white gold Rolex YACHT-MASTER in 42MM, which is stunningly magnificent!!! I LOVE the 42MM sizing, and notice the Fat Hands and Jumbo Markers, which look amazing!!! 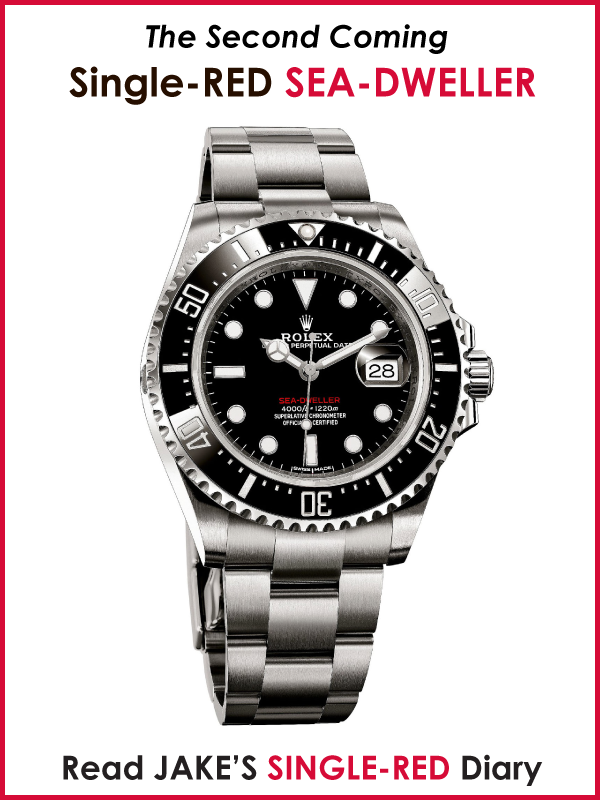 Essentially, the Rolex Yacht-Master—just like the SEA-DWELLER—has always been a Rolex Submariner variant. 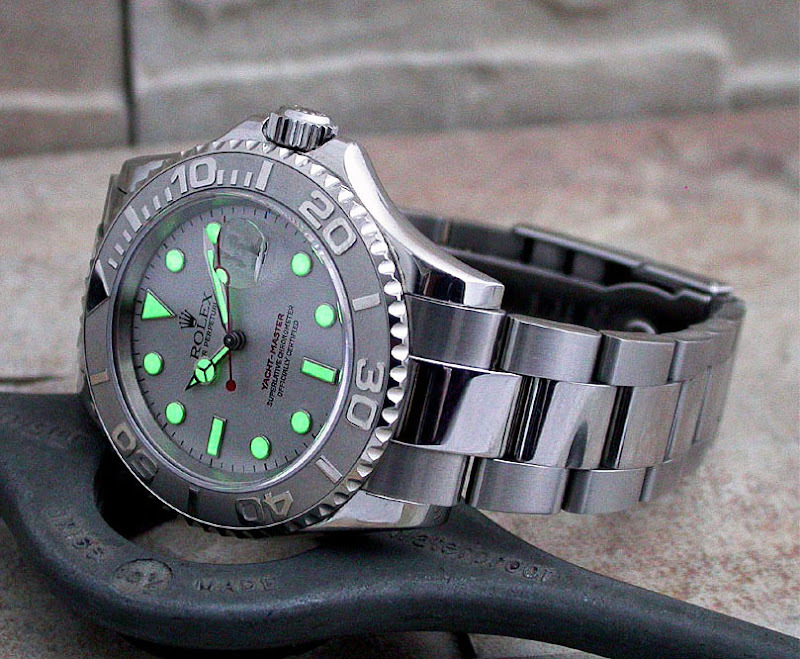 So basically, we are are seeing what a 42MM or 43MM Submariner would look like, and it's BRILLIANT!!!!! Also notice that Rolex seriously narrowed the lug width on this puppy, as the design language is going retro, back to the old-school lugs. "We must not cease from exploration, and the end of all our exploring will be to arrive at the place where we began, and recognize it for the first time." 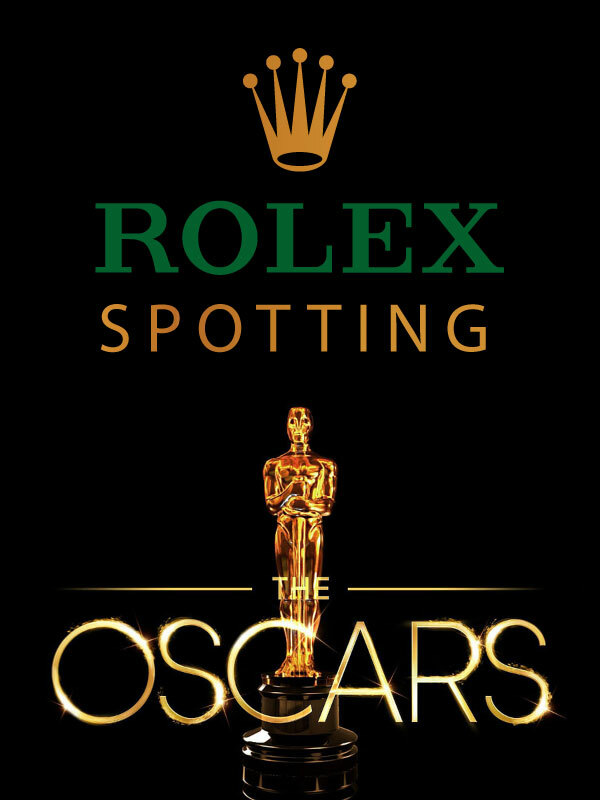 Rolex very, very rarely introduces all-new models, as a matter of fact, the last Rolex model introduced before the Yacht-Master was the Rolex Daytona which was introduced in 1964. Rolex introduced the Yacht-Master in 1992, so it took them 28 years to come up with an all-new model! Just for frame of reference, it took Rolex another 20 years to come up with another all-new model, which was the Sky-Dweller, which they introduced in 2012. In 2012, Rolex also introduced an all-new version of the stainless steel and platinum Yacht-Master, with a cobalt blue sunray dial and it was an instant classic!!! My pal and fellow Rolex fanatic from Italy, John Goldberger recently sent in these stunning photos of his Ultra-Rare 39.5mm Rolex Yacht-Master Chronograph Prototype [Reference 6239/6242] the dial of which was made in 1967 and the watch in 1969. How rare you ask? It is one of only two known examples. I know Eric Clapton owned one. Note: You have to click on this image to check out the detail. It is also a great piece of desktop wallpaper courtesy of John Goldberger. John is one of the worlds leading vintage Rolex collectors and last year he published his amazing 100 Superlative Rolex Watches which I did a detailed review of, along with a fascinating podcast interview with John which you can see by clicking here. 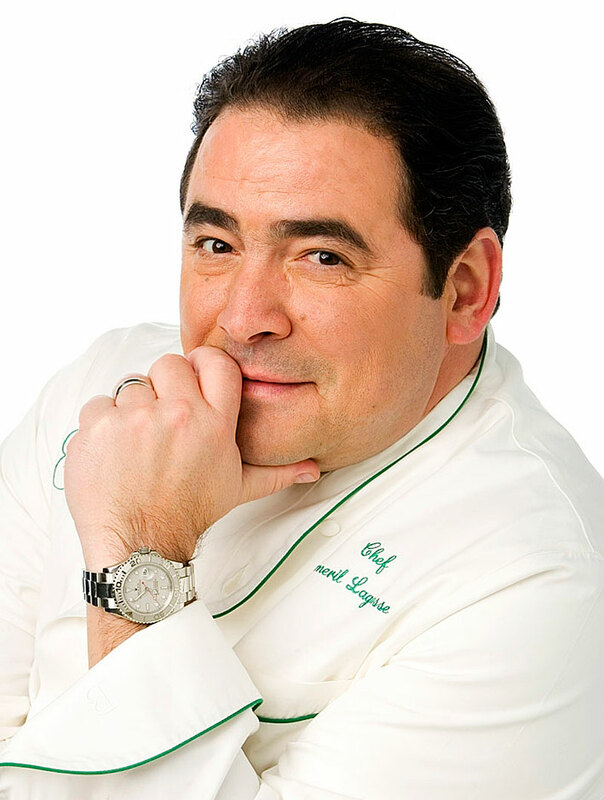 So what is the origin of the Rolex Yacht-Master Chronograph? From my study of Rolex design, it is crystal clear to me that Rolex experimented like crazy and one could argue that Rolex threw everything they could think of at the wall and waited to see what stuck. 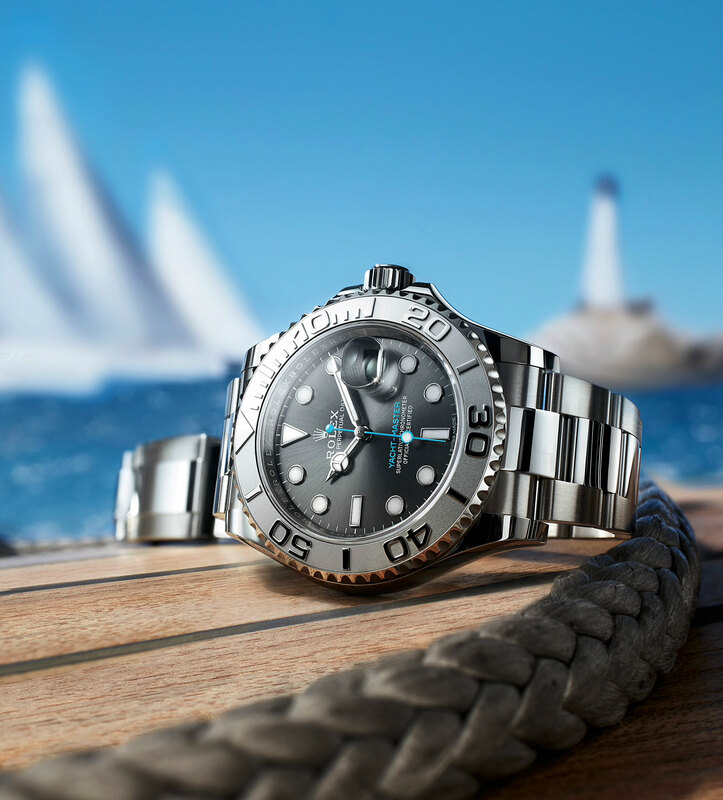 The original Rolex Yacht-Master is interesting because it was the second Rolex developed around the Nautical theme–the first being the Rolex Submariner. 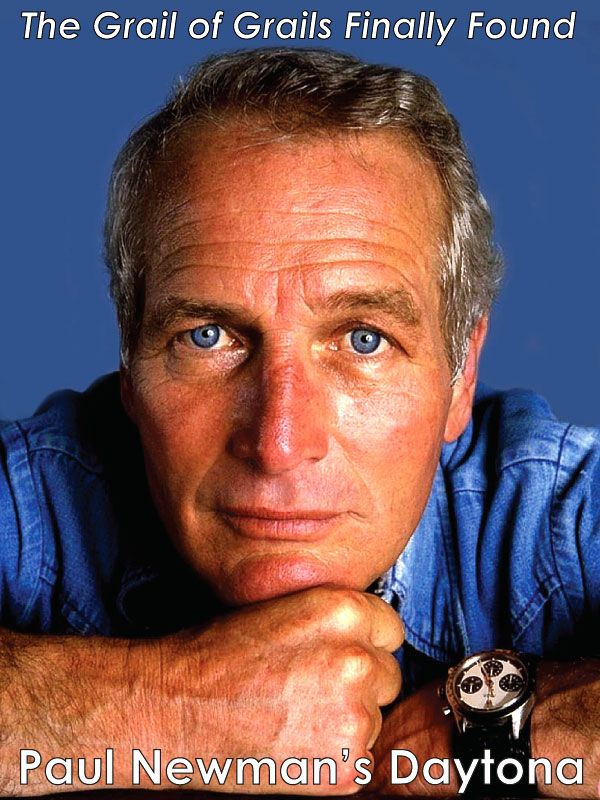 Ironically, Rolex developed the Yacht-Master Chronograph before they developed the SEA-DWELLER. 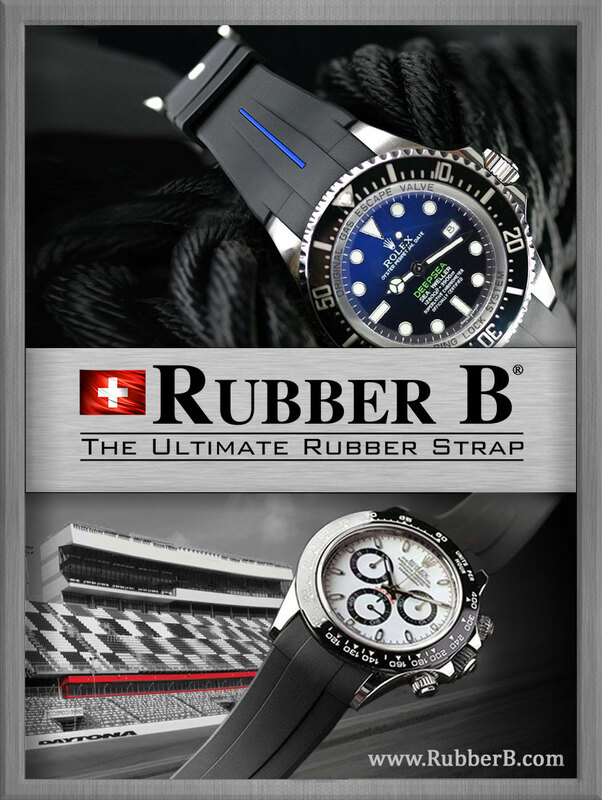 I believe Rolex wanted to try to capitalize on the extreme success of the Submariner as a tool watch. 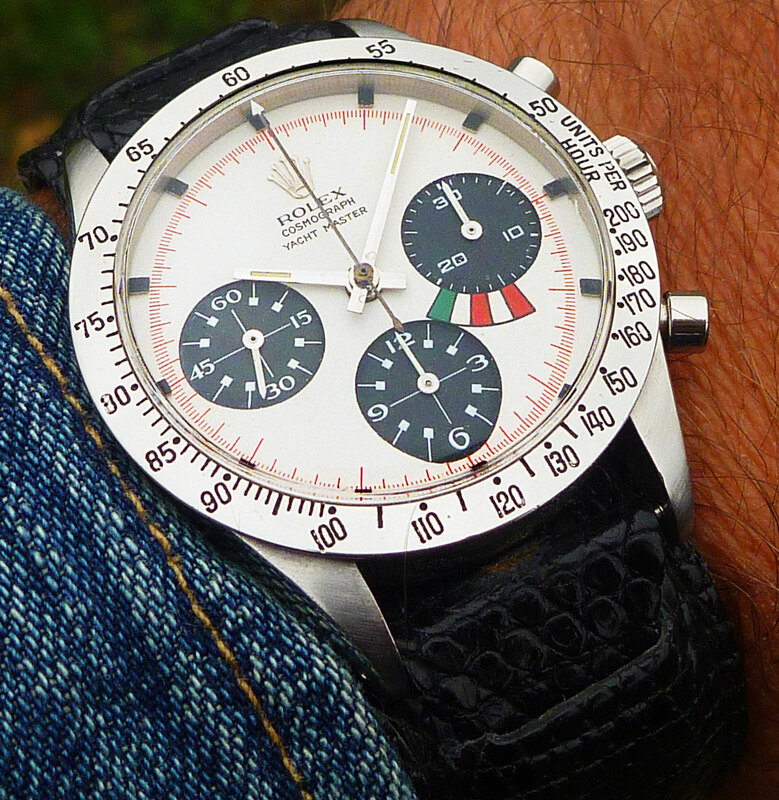 The original Yachtmaster looks like early Rolex Daytona models, but the Daytona models at the time were 36mm, where the Yachtmaster was 39.5mm. 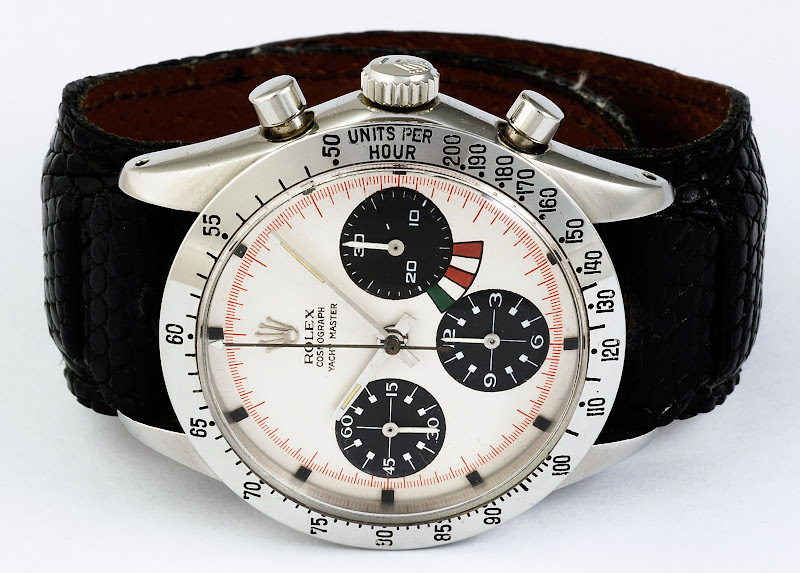 Rolex ultimately decided not to bring the Yachtmaster Chronograph to market in the late 1960s, but it remains a very interesting piece of Rolex design history!!! 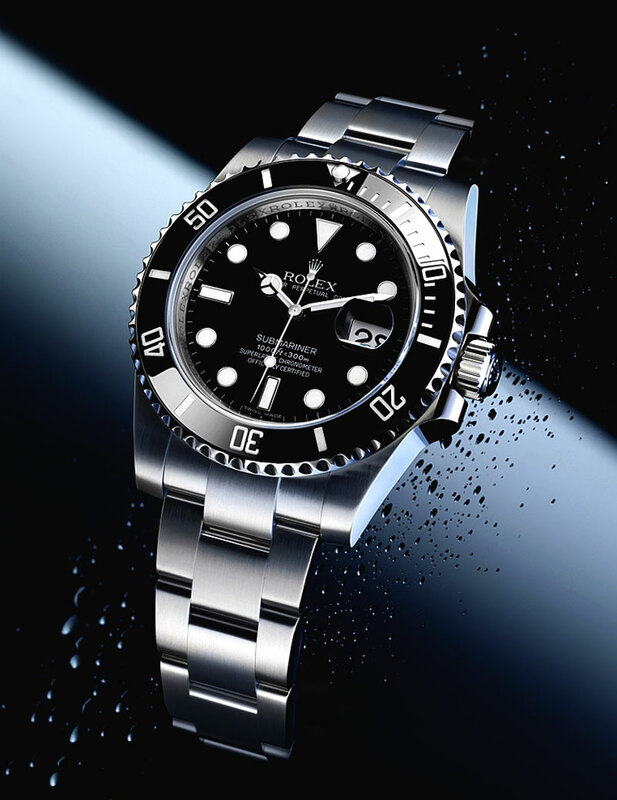 In the late 1980s, Rolex wanted to significantly update and modernize its Rolex Submariner model. The Rolex design team experimented like crazy and came up with what today is the modern Yacht-Master. The challenge was that Rolex loved the new design, but was scared to death to radically transform the Submariner. 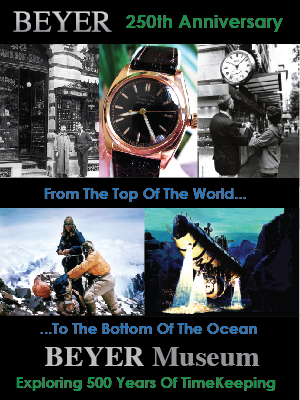 The Rolex Submariner was at the time and remains to this day, the most iconic watch in the world. One could argue that for the last half-century, the Submariner has been Rolex's bread & butter. Rolex loved the design of the new Submariner prototype; where the original had hard right angles, the new one had smoothly radiused edges. The new version had an etched bezel insert that was permanently soldered to the bezel. The new watch had fat hands and maxi markers and was a magnificent work of streamlined art. The challenge was that it looked nothing like the original. Jocke, the famous Rolex photographer took the side by side photo above of the Rolex LV Submariner with Black Bezel Insert next to his Stainless and Platinum Yacht-Master. If you look at the two watches side by side, you really see how similar they are so much so, one could argue they are the exact same watch. 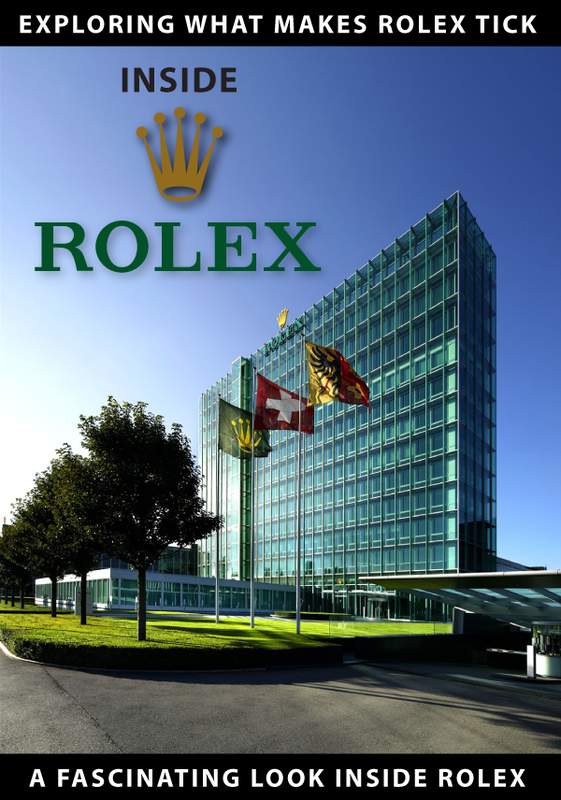 Design Note: Rolex design language has always been about evolving and then checking back-in with the past. 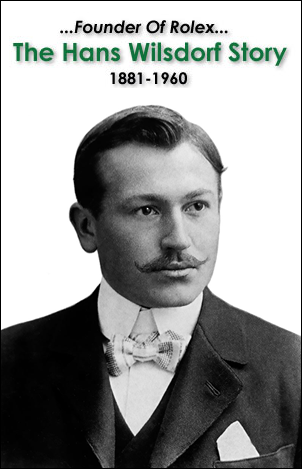 This design methodology typically results in a timeless product that has strong ties to its past. 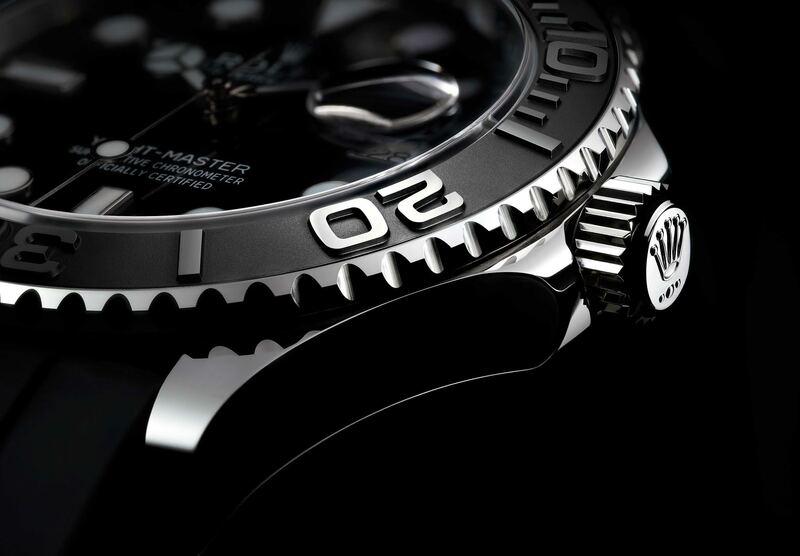 If you examine the all-new Rolex Submariner Rolex Introduced in 2011, you see how it leap-frogged right over the Yacht-Master, while building on the Yacht-Master design language. In other words, the new Supercase Submariner (2011 Model) has a ceramic bezel insert with lowered white gold markers, which give it a more sculptured/etched look like the Yacht-Master bezel in reverse. Just in the same way the crown guards grew fatter on the Yacht-Master than on the older Submariner, the new Ceramic Submariner has even fatter, crown guards. Same thing with the new Ceramic Submariner getting fattened up lugs that give it a SuperCase. Also, add the fat hands, and Maxi-Markers, and the Ceramic Submariner leap-frogs the Yacht-Master by adding the super-innovative glide-lock clasp. I realize I got a little sidetracked with the Submariner/Yacht-Master discussion, so now let's go back to the Yacht-Master. 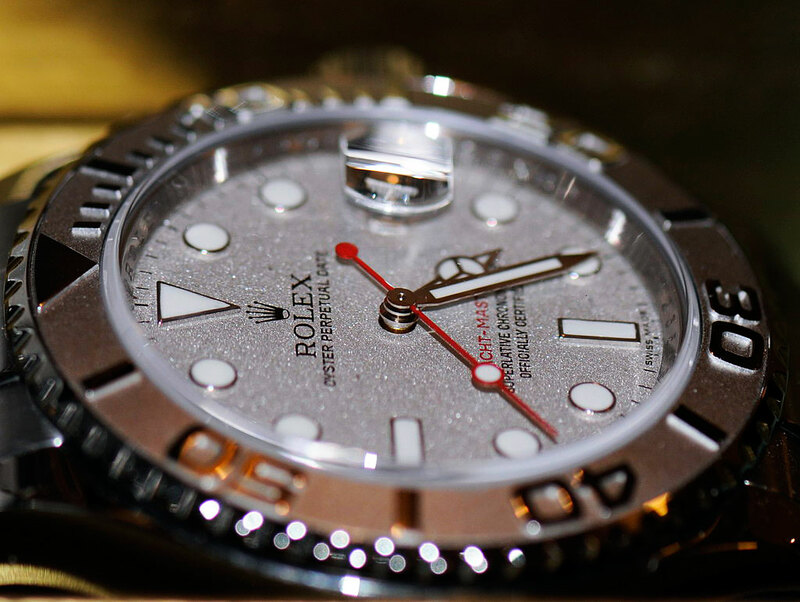 Rolex ultimately decided to revive their old trademark of Yacht-Master, and the rest, as they say, is history. If you carefully examine the modern Yacht-Master you will find it is almost identical in every way to a Submariner!!! The stainless steel and platinum Yacht-Master below almost looks like an albino version of the Submariner. Rolex originally introduced the 40mm Yacht-Master in 1992 it was a Reference 16628 in 18kt gold, with a white dial and 3135 movement, which was the same movement used in the Rolex Submariner. 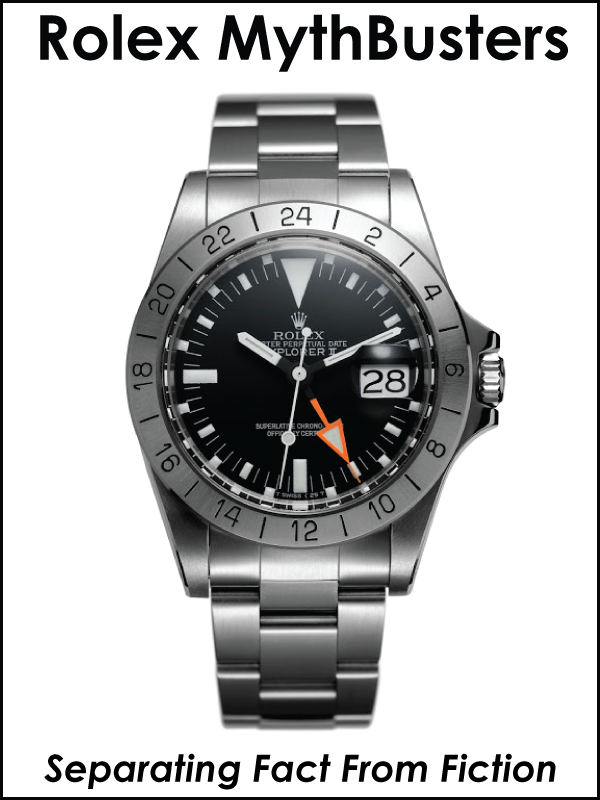 The Yacht-Master had a triple-lock crown, and it was water resistant to 100 meters (10 bars) which is 320 Feet. 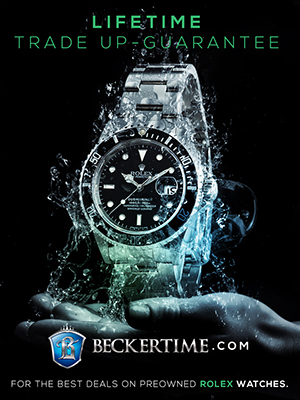 Essentially, the first Yacht-Master was positioned as a Luxury version of the Submariner. 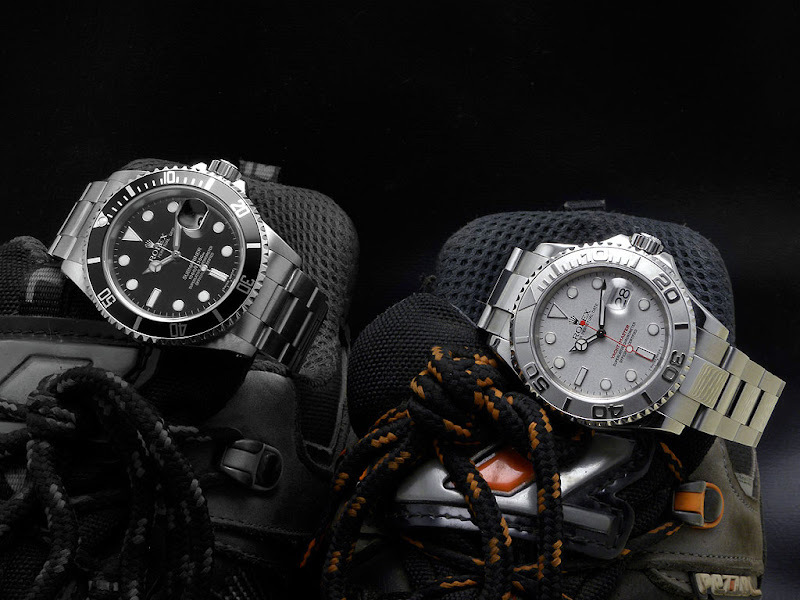 The Submariner was for use underwater, and the Yacht-Master was for use topside. 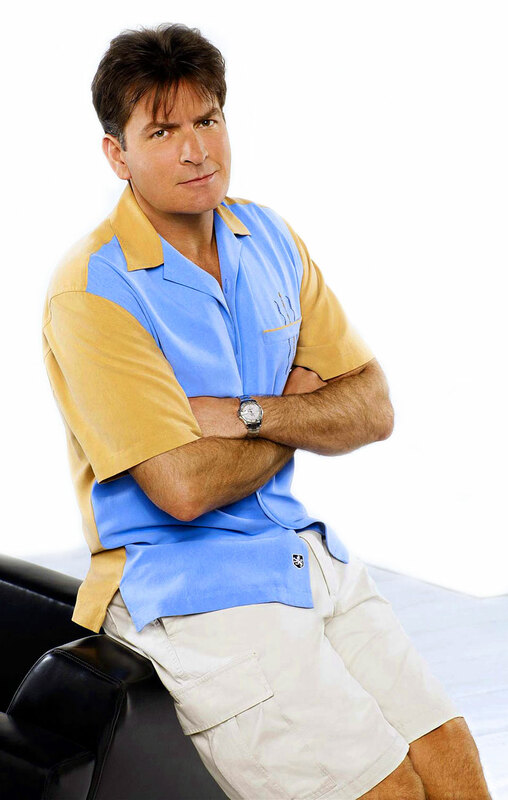 If the Submariner was for The Captain/The Skipper, the Yacht-Master was for Thurston Howell III (The Millionaire). 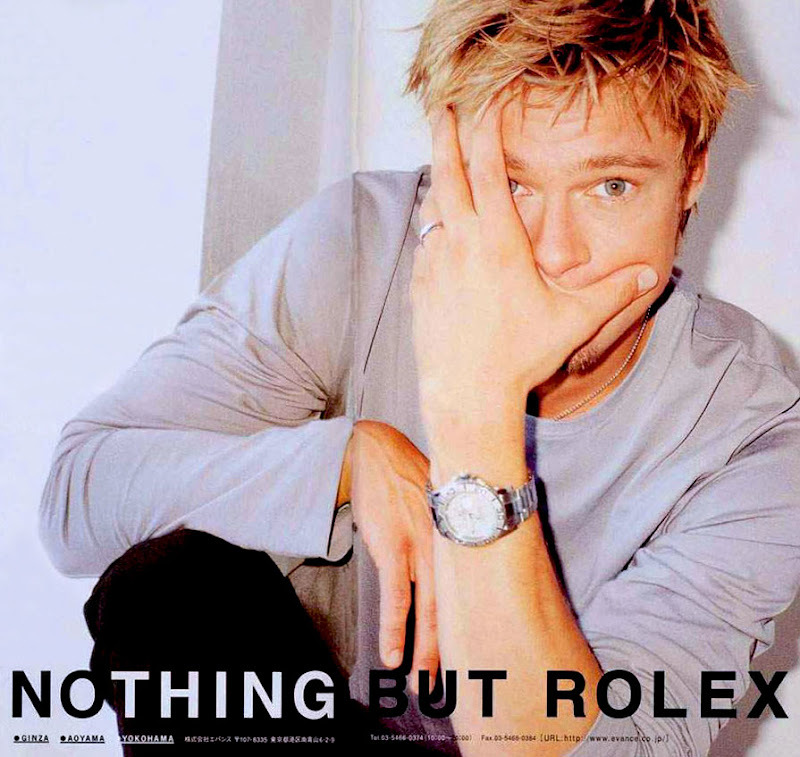 Just for frame of reference, I am sharing these image of Emeril Lagasse and Brad Pitt sporting full-size 40MM Men's Rolex Yacht-Master models. In 1994, Rolex introduced a 35MM "Mid-size edition" named the Reference 69628 which was geared toward the Asian market, or for men with smaller wrist sizes. 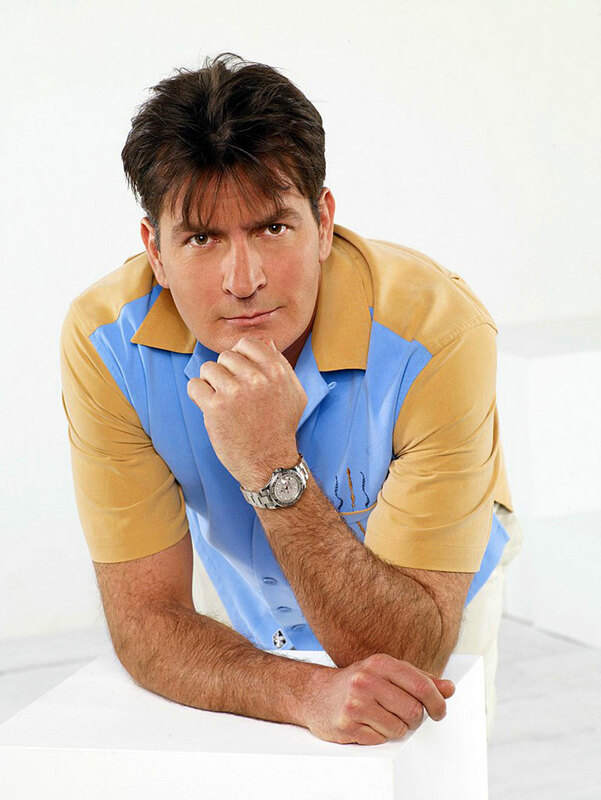 In the photos below we see Charlie Sheet rockin' a three-quarter size Rolex Yacht-Master. 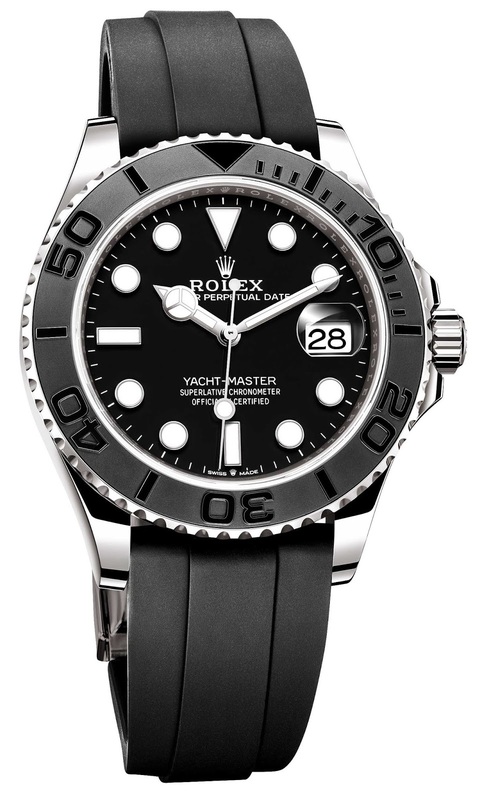 That same year Rolex introduced the women's 29MM version of the Yacht-Master named the Reference 69628. In the same year, Rolex also introduced a 18KT gold 40mm men's version with a blue sunray dial, which I happened to purchase. 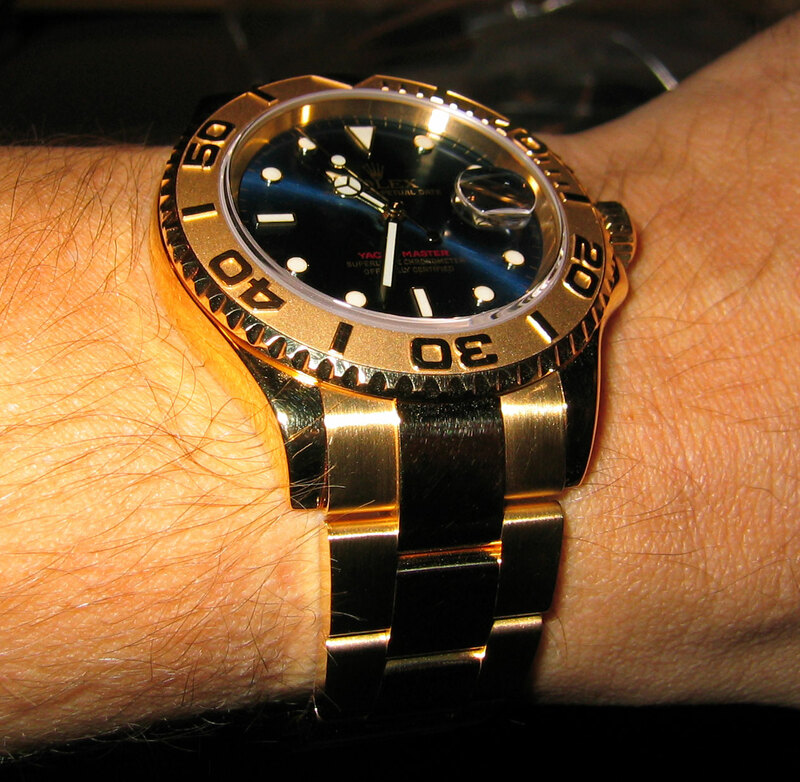 I took the wrist-shot photo below of my yellow gold Yacht-Master in 2002. I don't own this beauty anymore, but I really enjoyed wearing this striking work of art. In 1999, at Basel Fair, Rolex introduced the 40 MM stainless steel and platinum version of the Yacht-Master known as the Reference 16622. Rolex referred to this stainless steel and platinum combo as Rolesium. This watch is unique in the sense it has a platinum machined bezel with beautifully raised markers, as well as a dial made out of platinum. I have often criticized this model for lacking contrast and being too monochromatic, or albino, but in certain lighting, conditions the dial really comes to life as you can see in this photo taken by Vu. 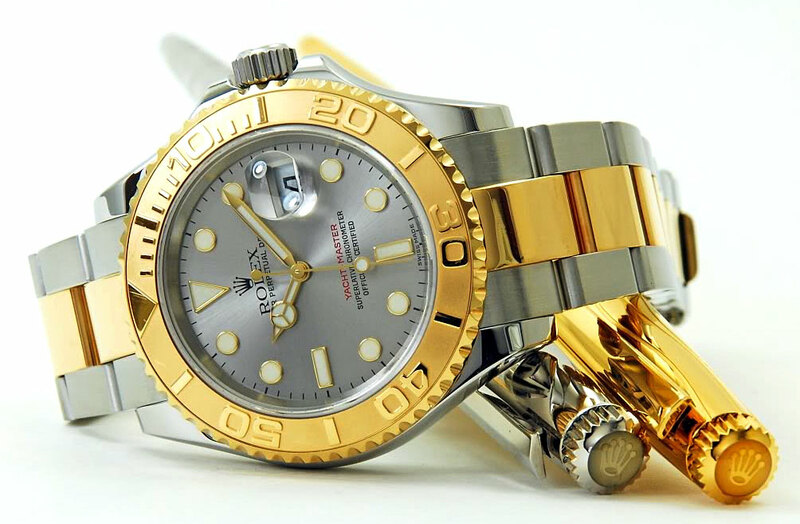 In 2005 Rolex introduced a 40MM Rolesor stainless steel and gold two-tone version of the Yacht-Master known as Reference 16623. 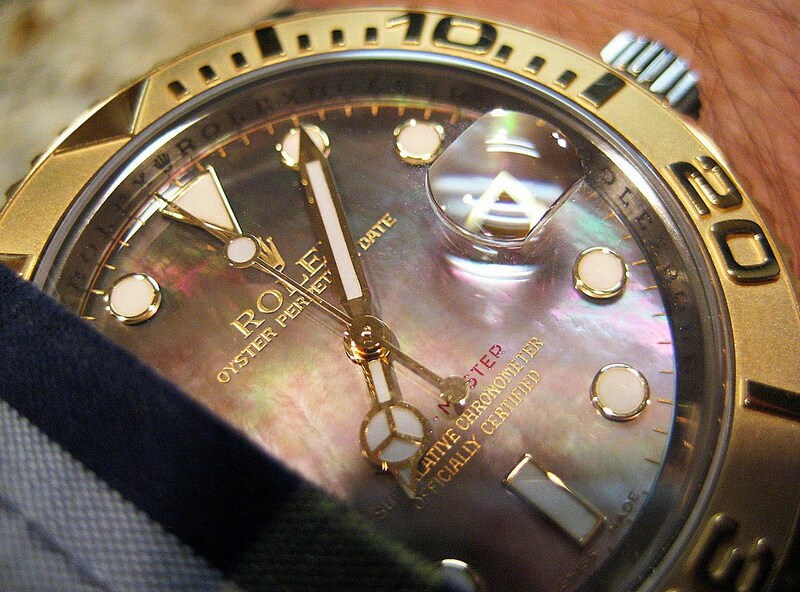 Rolex refers to two-tone stainless steel versions of their watches as Rolesor. Rolex also started making Yacht-Master watches with a special mother of pearl dial, as seen below. Rolex very, very rarely introduces all-new models, but when they originally introduced the Yacht-Master in 1992 it was a Reference 16628 in 18kt gold, with a white dial and 3135 movement, which was the same movement used in the Rolex Submariner. 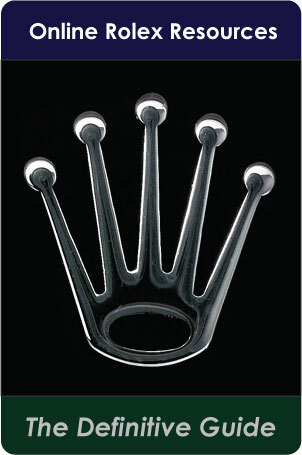 At BaselWorld in 1999 Rolex surprised everyone when the introduced the stainless steel and platinum version. 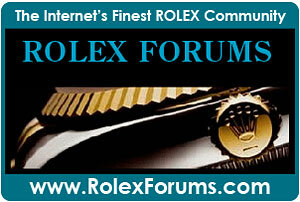 Rolex refers to the combination of Stainless Steel and Platinum as Rolesium. This all-new model was the first to bring back the timeless Maxi Markers and fat hands. Since then Rolex has slowly returned all sports models to incorporate Maxi Markers and fat hands-Thank God!!! The stainless and platinum Yacht-Master dial and bezel were made out of platinum but, the challenge was that the watch had no contrast. It was beautiful but it looked albino and had no pop. 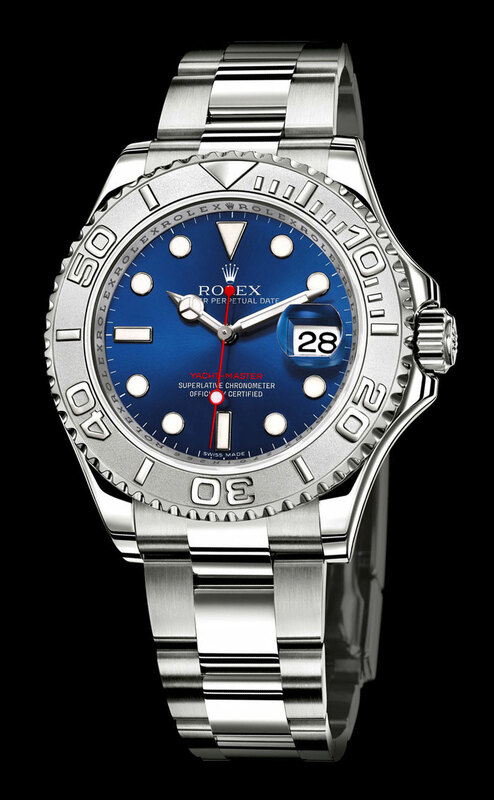 That all changed this year at BaselWorld when Rolex introduced the new 40mm Reference 116622 with a Cobalt Blue Sunray dial, which is just stunning. 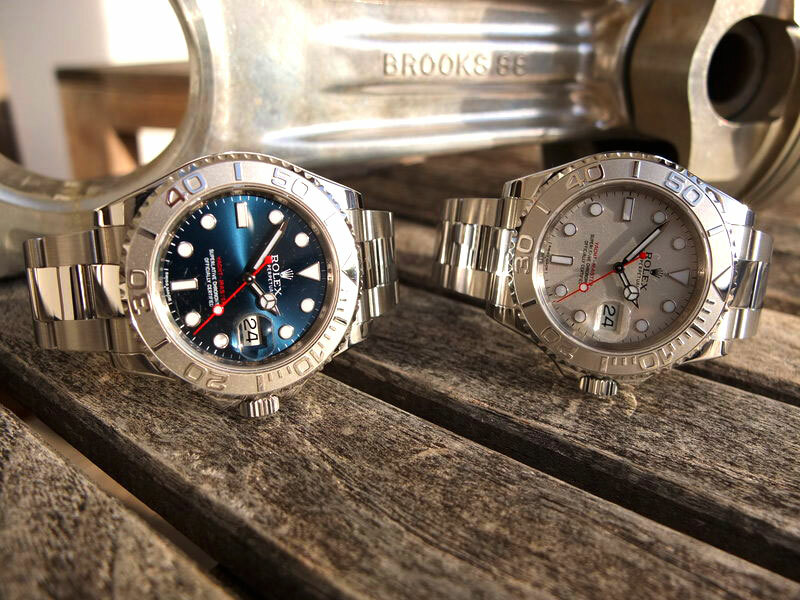 With this new version, Rolex also updated the case design, by giving the Yacht-Master a Supercase, which means, they made the lugs much thicker.